Recently DTW reminded readers of the overlooked Honda Legend. And the resultant discussion brought up the fact that Car magazine ran both a C6 and a Legend on their long term fleet in 2007. Car magazine asked at the end of their introductory comparison whether the two cars were “viable executive choices or pointless follies, vanity projects for their respective makers?” The general tone of the article was that even though they had chosen to run both these cars, Car itself didn’t really know why it was bothering. The introduction rather prejudiced the inquiry by pointing out that neither Honda nor Citroen had high ambitions for the vehicles. They expected about 400 units to be sold each year, which turned out to be optimistic. But perhaps in stressing the fact few buyers would be tempted, Car simply made a self-fulfilling prophecy. What else did they say? The Honda was seen as a car for those looking for a vehicle with no social baggage, indeed it was a car the writers considered to be invisible: “an anti-statement, a car for those who want to please only themselves, not everybody else.” Further, Car imagined Honda buyers would not consider the more overt C6 which Car considered “stunning or repulsive depending on who you ask”. For the record, Car liked the C6’s appearance. Personally, I can’t get over the rear lamps or the Audi-esque overtones of the glasshouse. Both cars cost north of £35,000. The Legend, as tested, ran to £39,000 and the C6 a round £40,000. 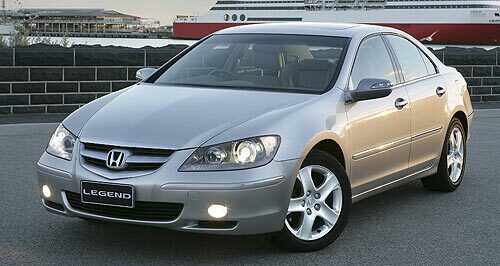 Interestingly, it was the Honda that was considered to have the more special cabin though the Citroen was roomier. This echoes criticism of the Legend from other sources who accused the car of not having enough rear room. The Legend gained points for its driving capability, sporting as it does a 4-wheel drive system and a 291 bhp 3.5 litre V6. The 0-62 mph time was 7.3 seconds. The Citroen is well down in power in comparison, using a 2.7 litre PSA-Ford V6 diesel. A heftier weight and lower power meant the Citroen needed 8.9 seconds to get to 62 mph and this was both slower than the Legend a lot tardier than a similarly powered BMW 535d. At first glance, indeed the two cars are very different. The Legend seems to aspire to a sporting role while the Citroen wants to cosset and calm. So, potential buyers may not have been considering both cars. However, the real choice is between these two and the usual suspects so indeed it is likely that shoppers for a non-German brand may very well have been considering either of these vehicles at the same time, despite their differences in character. What was important was how they differed from the opposition more than how they differed from each other. 2007 Honda Legend (US market version). The following month, the C6 featured alone in the Long Term test report. Though quantitatively inferior to its peers from the BMW, Mercedes and Audi stables, the Car staff were reported to have liked the C6. In essence, the car’s problem is that it isn’t easy to like straightaway, it takes time to get used to it and by then its appeal becomes more apparent. That’s showroom poison, of course. The performance in isolation was deemed “effortless” and the car was exceptionally quiet due to the double glazing. The magazine resorted to the usual clichées of “dinghy-at-sea” roll angles but this was the price to be paid for a soft ride. Steering was finger light. Clearly it’s a car with an entirely different agenda than other vehicles. Reminiscent of the Peugeot 604 from 1975, the emphasis is on the qualitative aspects of driving not the outright numbers presented. This is a hard sell in a world of short attention spans though. And if quality mattered, I am deeply puzzled how such a costly car could look so markedly indifferent in places such as the dashboard plastics and the fit of the huge rear bumpers. In September ’07, there was a postage stamp-sized report noting the capacious 488-litre boot, the relaxing ambience and the C6’s waftability. Alas, the opening sentence accused the car of lumbering. I wonder was this just careless writing? In what sense does the C6 lumber? In the November ’07 report the C6 was accused of being too subtle. And finally the Legend got a mention for its snarling V6 and good seating. Honda didn’t get good results from that long term test as the car was barely reported otherwise during the three subsequent months of the period I looked at. It’s a moot point as to which of these cars I’d pick if given the choice. I’d be interested in driving the C6 but suspect the Honda is the car I’d choose to run for a longer period as I admire its head-down engineering ethos but I’d understand if someone opted for the C6’s relaxed charms. More interesting perhaps is the manner in which both cars seemed to be unable to generate the copy that makes a proper long-term test worthwhile. Or else the journalist themselves weren’t interested. Were the cars offered for free by the manufacturers? I’d have expected to hear more about daily life in the cars, experiences with dealers and boring details like fuel economy and foibles. Instead, both cars remain stuck on the page, imprisoned in a few off-the-cuff remarks concerning waftablility and how they can’t expect to succeed. I’d really expect more than such indifferent journalism. And thus if you want to really learn about the Honda, turn to American journals like Car & Driver where you’ll get a more detailed, if North American, take on the car. For the Citroen you’d have to search carefully for detailed objective analysis since it was not often the subject of reports and seldom (if ever?) included in group tests. I always like the C6’s ‘art déco’ door compartments, which, as a presumably unintended side effect, highlighted the general air of indifference of the rest of the cabin. The Citroen’s interior appeared like a particularly lazy effort (door compartments aside) when compared with the then-current BMW E60’s much more avantgarde cabin. Which I personally cannot stand, but it certainly stood for a more modern approach that embraced the growing importance of infotainment systems on interior styling. Was that C6 interior supposed to be elegantly neutral industrial design? It looks rather massive and lacks inflection. The Honda’s is too busy. I’d have think which car approaches my ideal…. I thought this would be catnip for SV. I hope you enjoyed the time off! We await your informed response with pleasure. I like both of these cars, and their rarity and assumed status as alternative choices are part of their appeal. I have never driven or even sat in the Legend, but I suspect it would be the far more amenable and low-stress ownership proposition, as well as a more engaging drive. As I wrote elsewhere, I had it down as a candidate for replacing my much-loved H6 Legacy, but instead, on something that was probably akin to a whim (few would call me whimsical, so I’m not sure I can recognise what a whim feels like), I bought a C6. I had set out that day to buy someone’s treasured DS, but bottled it and bought its descendant instead. That was 4 years and 75,000 miles ago, so there must be something right about the C6 as I’ve never owned a “car for work” for so long (the family Xsara Picasso has been with us over 8 years – there’s another story in that, I think). The C6 is almost everything Richard writes that it is. Indeed, I first came across B&N (as I then knew him) on TWBCM’s site when I tried to compliment him on one of those excellent design commentaries of which he is so capable (you know, use a photo of the car and then overlay it with comments with arrows, pointing out nice elements and fault lines), but he was accepting little of it. What I liked about the exchange we had was that he made me look much more thoughtfully and critically about a car for which I had fallen, and so viewed rather too emotionally. There is much with which one can find fault, and yet it remains, for me, a beguiling car. So, starting with the exterior, the rear overhang is too long. I recently took ownership of some publicity material made available by Citroen for the car’s launch and this implies that it too thought the rear overhang rather too extended. There’s much use of that kind of picture which uses a few flowing pen-strokes to suggest the profile of the car. And very nice and elegant they are too – but they definitely tighten the line of the rear bumper closer to the rear wheel than is reality. The rear bumper itself is, I agree, clumsy in execution (don’t ask me why, but it reminds me of an industrial filing cabinet). I like the rear lamps, but realise that use of LED strips (the solid ones now so prevalent on Audis) would add a lot to their appeal. The headlamps are striking, but something about the angle that the top edge cuts into the bonnet and wing is a little awkward. I’d also rather the wheels were more like solid discs, slightly domed, and I’d have liked a nod to “spats” over the rear wheel-arch. I acknowledge the point about an Audi-esque roofline. So, many elements sit in a none-too cohesive fashion, but I still find myself drawn in by a shape that is unlike anything else in its class. There are nice nods to both the CX (more obvious) and even DS (more subtle). It’s not the most professional job, but it certainly arrests the eye. People still some up to me and talk about it, and I’ve yet to find anyone who does not describe it as a lovely, or even, beautiful car. Inside, the car is a mix of the luxurious and the underdeveloped. It’s really very uneven. Those sliding covered door bins are a masterpiece, and, overall, the sense is of calm, quiet and comfort, but the dash looks cobbled together and is terribly unsophisticated in its design and the re-use of components. With use, and experience, one does (honestly) come to appreciate what the designers were trying to achieve, but, it’s clear they were starved of budget. The positioning of the “infotainment” screen and Head-Up-Display are terrifically ergonomic (that’s not the right word, but you know what I mean) as they are right in the line of sight – one barely needs to move one’s eyes from the road. However, the way that 7-inch screen is perched on top of the middle of the dash, which a feeble attempt to integrate it with what’s below, sits awkwardly with me even today after four years of familiarity. These days, such things are made to look like a “tablet”, and so a virtue is made of an item that is difficult to position correctly in a car’s interior. Staying with the dashboard, Citroen has placed the key control panel from the 407/ old C5 into the heart of it, and it’s ugly, over-festooned with buttons and knobs in plastic that also looks and feels cheap and nasty. The dash of the current C5 does it in a more integrated, stylish and bespoke manner, by comparison. 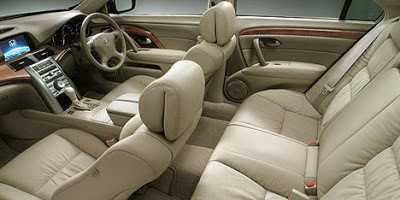 The seats are large and nicely trimmed in leather, and the rears are heated and adjust electrically (as do the fronts). Hence, although the rear legroom in unspectacular given the size of the car, it’s a comfortable and relaxing place to reside. The feel of the seats is a bit uncharacteristic; surely they should be a little soft and squidgy (in empathy with the suspension), whereas they are a tad firm and unforgiving. To drive, I believe the car is totally out of step with pretty well everything else in the market. The suspension is set up for comfortable cruising, at which it excels, with the oleopneumatics providing waft and a little heave. That suspension can be caught out, and whacks into potholes in a most unexpected and disturbing manner, albeit I suspect this has more to do with the large alloys. The car feels very heavy at the front (and indeed, very heavy all over), understeers quite badly and is not for being chucked around. There are “sport” settings for the gearbox and suspension, but the former just makes the drive jerky and the latter, whilst it works quite well in isolation, is just out of character with the rest of the car, so why bother? The 2.7l twin-turbo diesel, shared with the Jaguar XF of the same period, is a nice thing on the whole – quiet, refined, smooth (when warmed-up) and even giving a nice throaty growl through the mid-range if one extends it. It is annoyingly slow from take-off, there being a seemingly interminable pause whilst the engine and gearbox get themselves in synch. These are all things one notices early on and then spends time mastering if one can be bothered, which I can. So, now I think I get the best from the car, I drive it with empathy for how I believe it has been conceived, and so love driving it more with each journey. It’s a nightmare in multi-storey car parks (that front over-hang just begs to be smeared up a concrete pillar, the alloys seem to home-in on raised curbs), and fuel economy collapses around town (it’ll do 40+ in the summer on a motorway run, but only high 20s on a cold, wet winter trip to Sainsbury’s and back). Reliability has been just about acceptable. I have had a few suspension issues (only 1 of which related to the oleopneumatics) like bearings, stub axles and drop links, none of which I have encountered before with other cars, and I’m definitely more aware of the potential for issues with this car – somehow it feels like some of it was engineered with compromise. Compared with a Subaru, it feels positively flaky, but then so do most cars of other marques. That last point sums the C6 up. The concept is let down by a lack of development and compromises forced upon it by component and platform sharing with “lesser” PSA models. Furthermore, I sense the car is too heavy for some of that componentry. There is a lot to love: the overall style, the comfort, the quiet (or, if one does not want quiet, the JBL-labelled stereo is awesome), the unique suspension, the knowledge that it’s a rare and alternative beast. I have found that I have got over the negatives, in the main. It’s a car that manages to be more than the sum of those parts. It is, I accept, a kind of folly-on-wheels, but a lovely one imbued with charm and character. I went for a ride in a friend’s new BMW 335d X-Drive Touring recently and it was almost everything I could want from a car, and yet I felt no warmth towards it; it was a highly evolved and refined example of what almost every other car is like and can do. At its core, the C6 does not feel like a car that attempts to compete on the same ground. Hence, it’s not a rational choice – the Legend would, as I wrote a lot earlier, make a more faithful and technically superior proposition – but I’ve learnt not to judge it rationally, and just enjoy it for what it is. And, well, you did ask/ tempt me with cat-nip. SV. I think all your work here deserved to be put into a separate piece. I suspect if the political story of the design of the car were known, we’d have a far higher regard for the C6 team. I imagine the PSA brief went – use as many common parts as possible, go under budget never over and please try to use real springs. Bearing all this in mind they did an incredible job. Unfortunately it will never be repeated. Just to add a couple of things … First, I bought my car second-hand. It was 15 months old and had 15,000 miles on it. It had been a car registered by Citroen UK and used by a senior bod there until being sold on through a dealer in Wokingham. I suspect that most of the new cars were “sold” in this way. I paid about 40% of the list price …. The car is not worth very much now (say £6 – 7k) – running costs are quite high, especially the annual road tax as CO2 emissions are above the highest threshold, and that, and the percieved complexity of the oleopneumatics, put people off. Second, dealers are OK with the car. I use the C6 to get me to work and back and it’s a 130 mile round trip, so having it fixed/ serviced is a pain. Luckily, there is a dealer in walking distance of my office. They have been pretty diligent, although it transpires that they – without knowing it – bent a stub axle whilst changing a wheel bearing. This caused a rather scary brake problem for me about 12 months later as a brake pad on the affected wheel disintegrated under the undue stress as I was slowing down to approach a roundabout. If/ when I come off the current hamster-wheel (i.e. have more time) before replacing the car, I’ll have it looked after by a local-ish specialist (BL Autos in Hatfield) who see more C6s in a month than a dealer will do in a lifetime. Finally, there is a very active an useful website “C6Owners”, which is well attended by very knowledgeable current and ex owners, although some don’t like a cross-word being said against the car, which I personally find a bit irritating. Thanks for that. Your experience of the C6 parallels my life with the XM. I recognise it´s imperfect but it´s a car that has immense character and the nice aspects aren´t really found on other cars. Only the Saab 900 and CX make me stare intensely again and again as I do with the XM. Typical with me, as time goes by I find I can forgive the C6 those details that so annoyed me when I studied the first examples at a car dealer in Cologne. The rear bumper fit is the most disturbing. When I see the car in motion, moving among other, ordinary cars, you can see its charm. It has a richness which looks more obvious now than it did originally. I´d almost call it baroque or gothic but I mean the car has that heavy,chromed look that some old Mercedes have. For those reasons, I feel much more charitable. I don´t think I could live with one though. I imagine it´s quite bulky to drive whereas spacious as the XM is inside, it’s an agile vehicle and small enough outside. It is about the same size and weight as a modern C-class vehicle like an Astra or Focus. The hatchback facility is a boon and the 2.0 litre engine quite frugal. The rear passengers enjoy their time in the back which is something I get a great deal of enjoyment from. I suspect it´s better there than in the front. I think unlike many drivers, the passengers matter to me. The C6 is probably quieter than the XM. Series 1 cars lacked the sound-deadening that was added to the later cars but then again, the car is light so it´s a compromise. I need to get the car back on its feet. Like Myles Gorfe´s Granada, it is not moving much at the moment. The steering column leak is now quite horrific so I have to have that seen to as a top priority. I am fed up with the pool of green under the car. The steps necessary to bring this restoration about are tedious in the extreme. The XM is worth it though and at 25 years old, is now very much something of a rare bird. I am fortunate to run such an idiosyncratic but satisfying vehicle. Newer cars, as you say, don´t provide this satisfaction. Hi all, an interesting read thank you. 🙂 I found your blog because I have a severe case C6ness and spend my lunch times searching the web for more references to the C6! I live in New Zealand and of course C6’s are rare beasts here as well. When one came onto the market late last year I could deny myself no longer and although part of me was saying, this isn’t smart, the fact that my long term Citroen mechanic and friend had given me the thumbs up on C6’s was enough to tip the balance. 6 trouble free months later I have no regrets. Every time I approach the car to take it for a drive, it feels like a special occasion. I rather blindly love it whilst acknowledging it’s faults. For me my CX GTi’s suspension and handling are better. The C6 is faster but the CX enjoys being driven faster. Having said that I’m sure its no where near as safe if something were to go wrong. Both cars to me are beautiful but the C6 is luxury experience compared to the CX. Having said that the seats in my CX are more comfortable although as the car is so low before starting that you tend to fall into them! In the C6 they are hard by comparison and too wide for me. Built for really big people? The air-conditioning, excellent JBL sound system and the wonderful 2.7 diesel engine are big pluses over earlier Citroens I’ve owned, or still own. Previously I have owned an early manual XM V6 but never really warmed to it and eventually went back to another CX which felt more like me and didn’t have plastic bits breaking or failing all the time! Mechanically the XM was fine but the foot operated parking brake was a liability in a manual car. Probably OK in an automatic. Anyway, I’d better stop being boring and get back to work! Suffice to say I feel special every time I drive my CX. So far I’ve only seen one other C6 on the road here since I bought mine. I don’t know how many are in New Zealand – perhaps a few dozen? I’m looking forward to meeting other owners in time. Hi Fraser: thanks for taking a look at the site. I am glad you liked the article. It´s very gratifying to get some experienced insight on these cars from actual owners. What I find striking is your preference for either the CX or C6 but not the XM. They way I characterise the XM is that it was a quantitative improvement on the CX but qualitatively inferior. As such, the XM is more reliable, more efficient, more spacious and faster but not as lovely to drive. My one fifteen minute spin in a CX showed me just how good that steering was. The XM´s is good enough and the car is pretty agile but miles away from the satisfyingly direct steering of the CX. I suppose if I was determined I could get an early V6 XM with DIRAVI but I find the thought of Douvrin V6 too intimidating. The manual gearbox on RHD XM´s is the weakest part in terms of usability. It´s clunky and obstructive in first and second. They should never have sold it as it was and – again – the CXs is vastly nicer to use. As it stands, I am more or less married to my XM as I can´t think of another car that does what it can and look so good doing it. 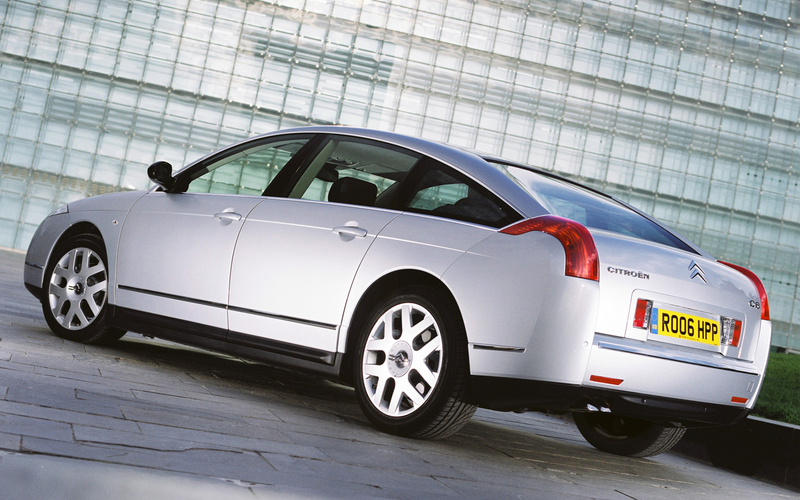 The hatchback format suits my needs as well and that´s another reason the CX is less tempting. Mine is a 1990 model. I prefer the interior to S2 models. I suggest you hang on to the CX. It is fixable. I think the later cars are not. Though the CX may rust, that´s always something one can repair. The electic systems and very specialised parts of a C6 (along with their scarcity) don´t bode well for its long term health. My XM is already a bit of a nuisance with its steering valve leak (with a rack made for the UK market for three years). The ABS sensors are also a nuisance. This article seems to be a popular one to judge by the frequency with which it comes up in the stats in the engine room at DTW. But who are you who turn up here wanting to know about these two cars? Hi Richard, I suspect the kind of people who like to read columns like this are people who appreciate cars that are extraordinary such as the CX, XM and C6’s. Cars to these people are more than just getting from A to B, every trip is an experience to be savoured and enjoyed. Vive la difference! 🙂 PS I think the Honda Legend is probably as rare here in New Zealand as the Citroen C6, and that is very rare. I’ve owned my C6 for almost a year now and have so far seen three others C6’s. It occurred to me that I’ve never seen the late model Legends in Denmark.